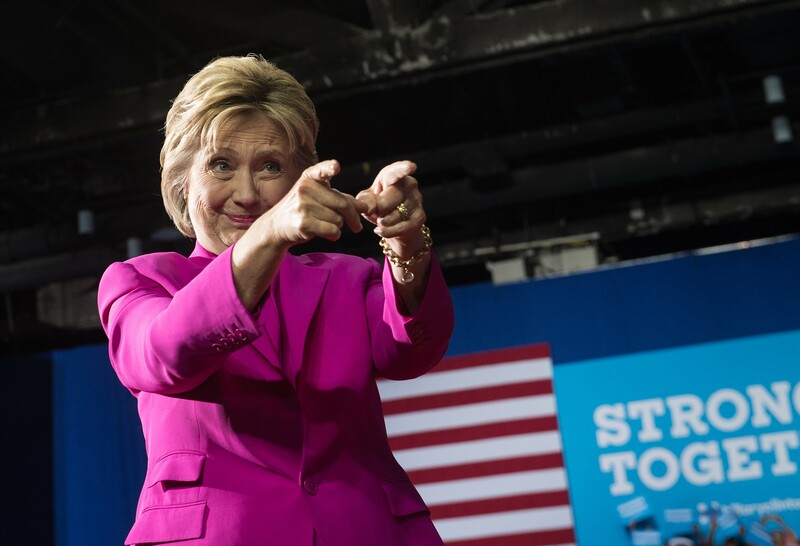 To many, Tuesday marked the beginning of the end of the scandal surrounding presumptive Democratic presidential nominee Hillary Clinton's emails. In case you hadn't heard, Clinton was being investigated for using a private server to send classified information during her time as secretary of state. Following a lengthy investigation, FBI Director James Comey said Tuesday that the FBI would not recommend that charges be filed against Clinton. Many had been looking forward to the decision. Some hoped their favorite candidate would be vindicated. Others hoped "Crooked Hillary" would get indicted. And some were just sick of hearing the words "email" and "server." When the decision did come down, so too did the opinions. And of course, because this is 2016, those opinions were — whether funny, outrageous, ridiculous, or annoying — blasted all over Twitter. Some were obvious, like presumptive Republican presidential nominee Donald Trump's irked tweet: "FBI director said Crooked Hillary compromised our national security. No charges. Wow! #RiggedSystem." But let's not forget those without thousands of followers — those witty wordsmiths who also had hard opinions about the decision. Some were mean. Some were a little ageist. And some were from celebrities. Whoever they are, let's raise a glass to the non-Trump tweeters and give a chuckle to some of the best ones. Who knew TV's Debra Messing (R.I.P. Mysteries of Laura) was politically savvy? Okay, probably a lot of people. But still, she presents quite the conundrum to the world. Some had hard takes on the real meaning of password security. As someone whose password for her offshore accounts in Panama is "password," I take umbrage to this tweet. Just kidding; it's "abc123." To be fair, it's not just grandpas and grandmas who have trouble with emails. I'm told toddlers experience problems too, usually with reaching the mouse without a booster chair. Sure, this is like football. Sure. Some were more successful in their sports metaphors. Always important to look at historical precedent — or so my history teacher once told me when he caught me napping.